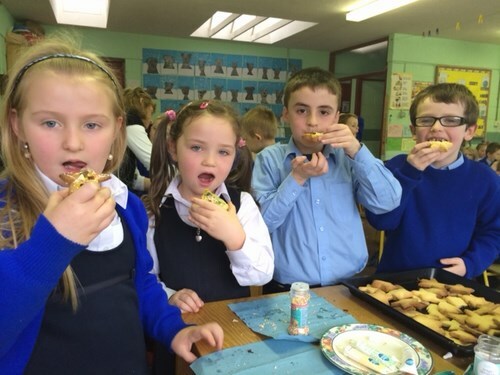 First and Second classes made and decorated these lovely Christmas cookies with their teachers. 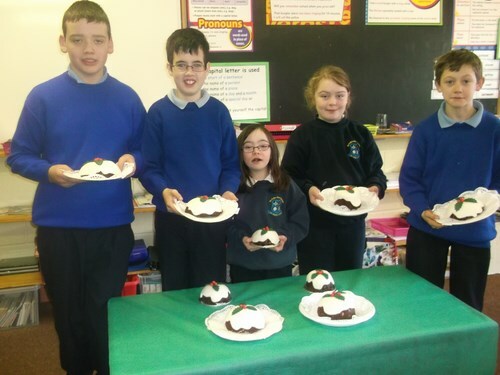 Some children made these alternative Chocolate Biscuit Christmas Puddings with Mrs Cunnane. Ms.McNeela’s class wrote and posted letters to Santa. 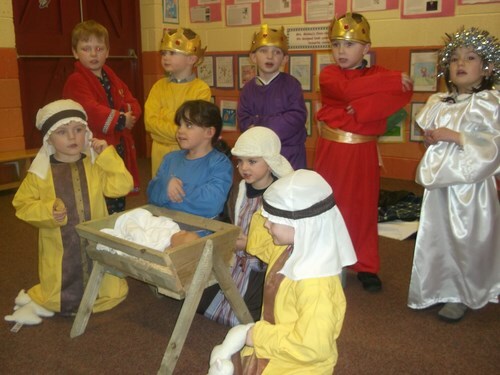 Second Class and Junior Infants took part in the Parish Carol Service in the Church of the Holy Family on Sunday 15th Dec.
On Wednesday 18th Dec. Susan, from Kitimagh Credit Union, presented prizes to the winners of the recent Credit Union Poster Competition. Fourth class have learned to play some Christmas tunes on the tin whistle. 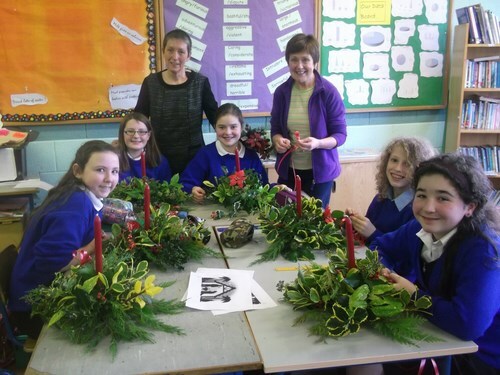 There is lovely Christmas art displayed in the school. 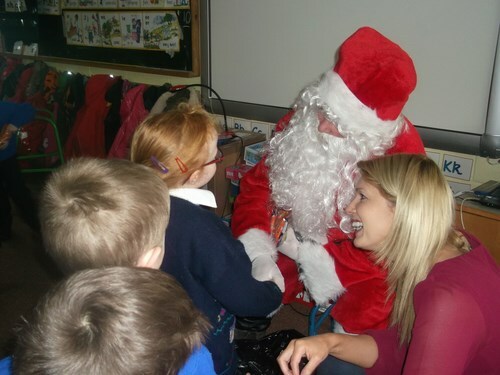 Click here to see more photos of Christmas activities in our school.